Made of found objects and painted by students. 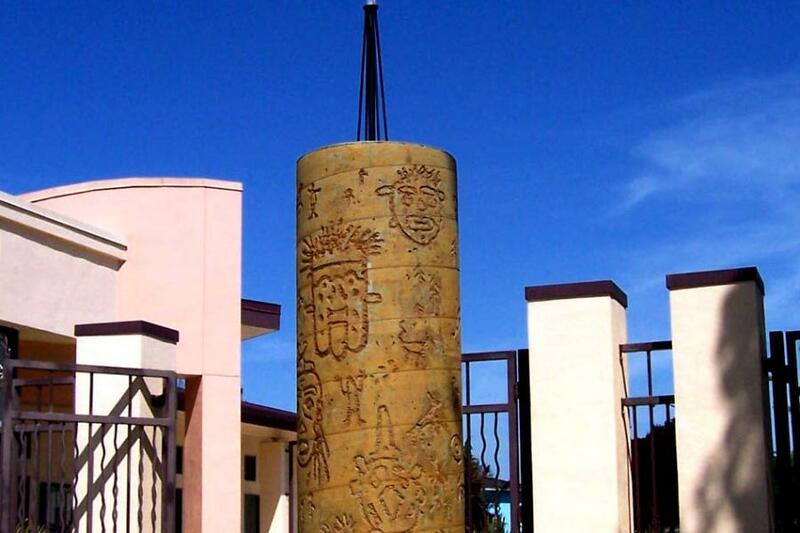 These towers add a playful, whimsical element to the school campus. 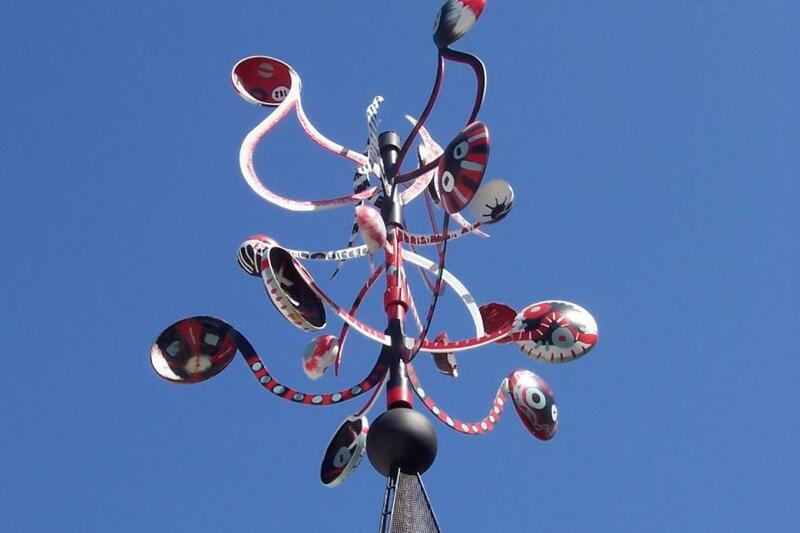 Inspired by the previously done Dream Towers, this sculpture moves with the wind while the first towers had no movement. 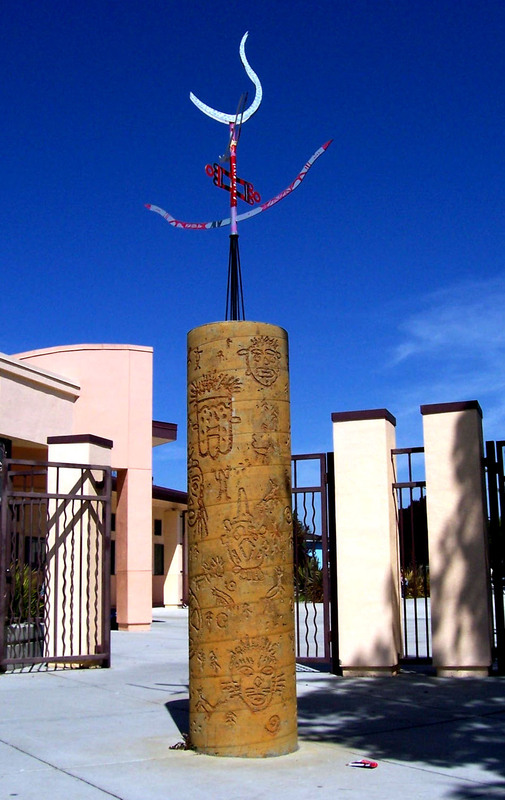 This tower was created with the help of the children from Theuerkauf Elementary School. Again improving on the original concept, a whimsical element was added to the column that the Kinetic Dream Tower sits on. 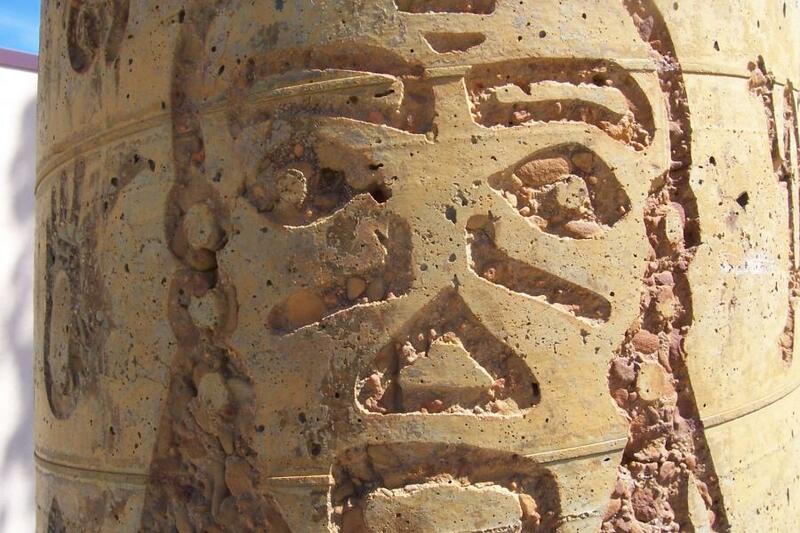 Student drawings were sandblasted into the column.